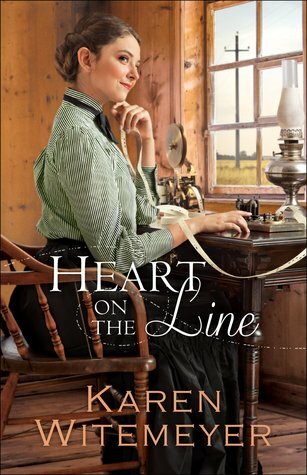 Heart on the Line is a cleverly crafted tale! Witemeyer brings Harper’s Station to life with her signature wit and charm, and it was such fun to revisit this uncommon community. I loved the wealth of historical details that are included in the narrative and especially delighted in the uniqueness of the characters and their story. The relationship that develops between Grace and Amos is tender and heartfelt, and their journey progresses with unexpected twists and turns. Brimming with humor, suspense, and romance, I thoroughly enjoyed this delightful story!